I was approached by a good friend of mine to design some invites for her daughter's Sweet 16 party. Of course I said, "yes!" She gave me the theme and I was very excited to start coming up with ideas. Rather than design one card with the same embellishment for the entire package, I decided to use 6 different colors for the mats and fonts. Each of the invites were accented with either a lei, beach ball, tropical flower, pineapple drink, tribal mask or a pair of flip flops. I had so much fun creating these invites! Set of 6 invites each in a different luau color. 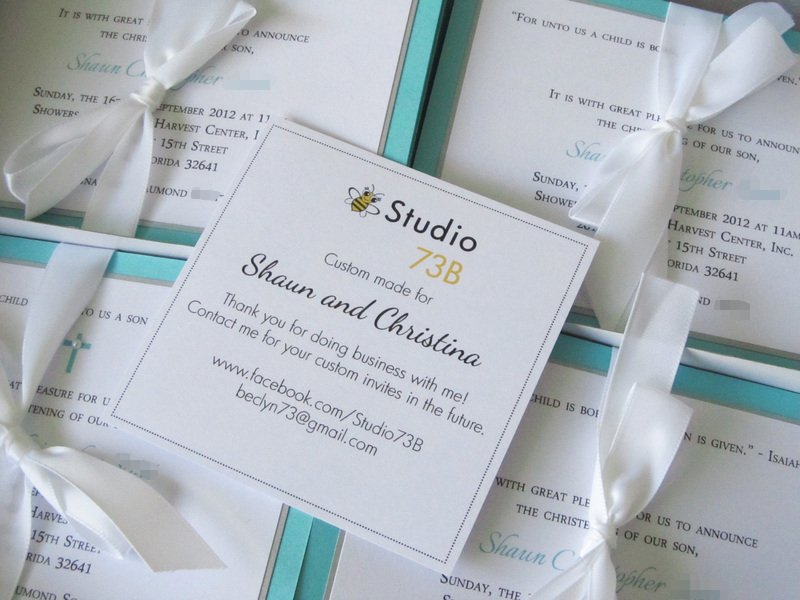 Each invite is filled with white sand and tiny shell fragments! Pink invite with a lei embellishment. The yellow invites were embellished with a tropical flower in coordinating colors. The purple invites were embellished with flip flops in coordinating colors. The blue invites each had a tribal mask with the markings done in coordinating colors. Each green invite was embellished with a pineapple drink complete with a tiny umbrella! Beach balls in coordinating colors for each of the orange invites. 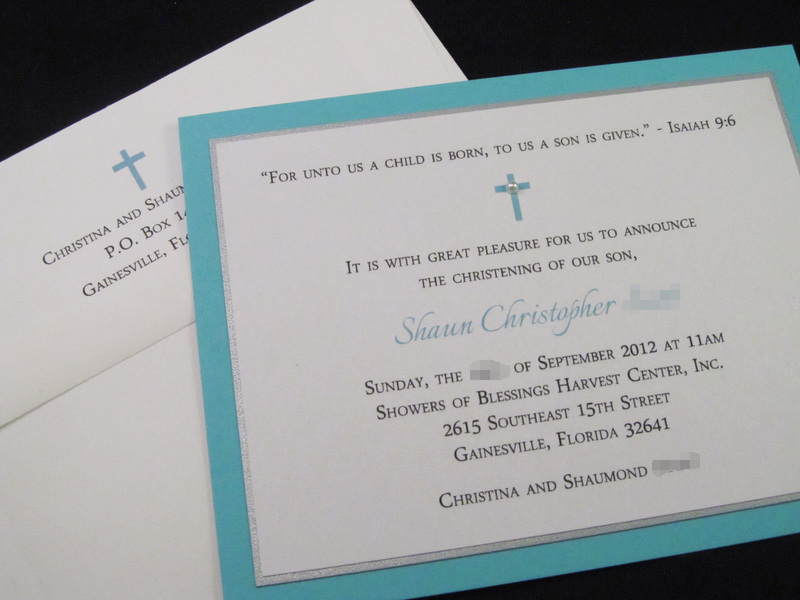 Envelopes were printed with Breanna's address in all 6 colors and a tiny palm tree image. Even the packaging is color coordinated! Second order of invites made especially for a Ayva, who is turning one in July! 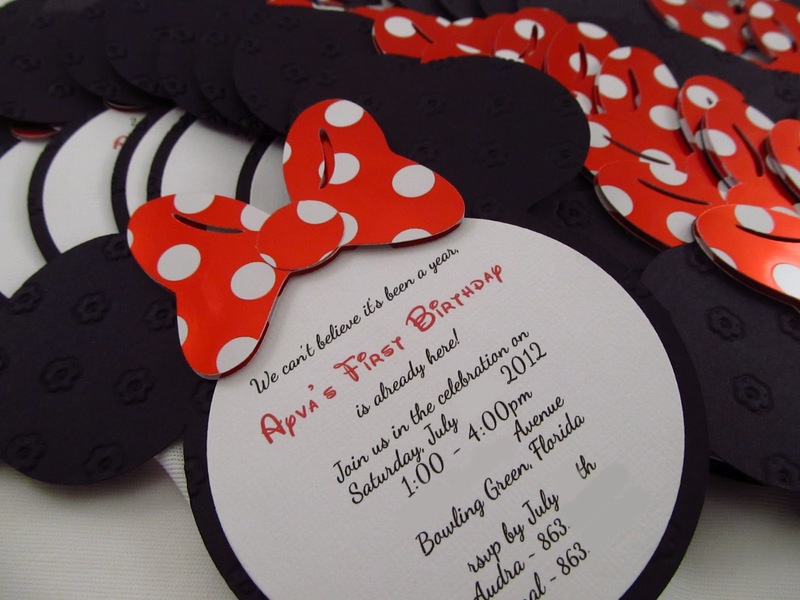 She is having a Minnie Mouse themed birthday party, so the the invites will set the tone for the party just right! Ayva's package included 30 Minnie Mouse invites. Crawfish and corn cob embellishments sit on a strip of newspaper. The wording was printed on silver cardstock cut out to resemble a crawfish pot! My cousin, Crystal asked me if I could make her invitations for her crawfish boil themed birthday. Of course I said, "Yes!" Here was my chance to get my business off and running. Corn, crawfish, red potatoes and lemon wedges add detail to this fun invite!